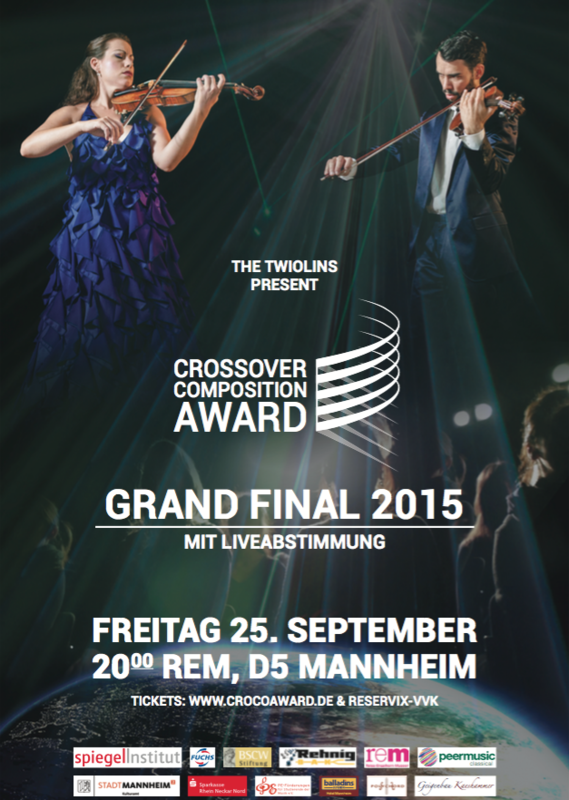 Mannheim, Germany, September 25th, 2015 – Benedikt Brydern wins the third Crossover Composition Award with his composition “Schillers Nachtflug”. It is the second time that he wins the competition. “I had the time of the “Storm and Stress” in my mind. The young Friedich Schiller is flying through the German landscape – that was my vision” Benedikt Brydern told after the final vote for his work. His composition got 175 votes and with that the clear majority of the audience. At the Crossover Composition Award, the audience decides which composer is the winner of the first prize of 5000€. Thanks to a many sponsors the total value of the prize money raised from 7000€ to 11.000€. The winners can expect that their works will be published by Peer Music International and the pieces will be recorded for CD by the Twiolins. First prize was donated with 5000€ (sponsored by the Spiegel Institut Mannheim), second with 3000€ (Fuchs Petrolub). Before the six prize winners got their final vote from the audience on September 25th in Mannheim, Germany, every submission was tested first by the “Twiolins“, Marie-Luise and Christoph Dingler. Second step was to convince a prominent jury: Prof. Christoph Poppen, conductor and violin professor in Germany, Aleksey Igudesman, world´s most famous funny violin player and Johannes Söllner, winner of the Crossover Composition Award 2012. Per ballot paper the listeners elected the winners of the Crossover Composition Award at the Anna-Reiss-Saal, Reiss-Engelhorn-Museen, Mannheim. At the hall there were 210 listeners – “But with a spontaneously installed live-stream we had 370 additional listeners”, Marie-Luise Dingler tells, “that was really huge and we are very happy about it”. Soundtrack-like stories, minimalism, jazzy grooves and cool avant-garde – all these elements co-exist in these new compositions and reinvigorate existing traditions. Every three years The Twiolins are searching for new music and encourage heroic composers of our times to participate in the crossover Composition Award: With passionate music, full of excitement and creativity they try to win over the audience. With their released CD SUNFIRE The Twiolins present the award winners of the Crossover Award 2012. In the first half the six selected compositions will be presented to the audience by the Twiolins in random order. Composer and titles will not be announced. 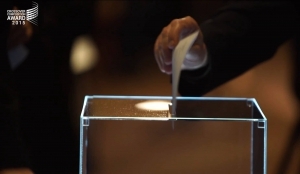 The audience votes for its favorites by ballot paper; the counting is done during the break. In the second part of the finale the results will be announced and the prizes will be awarded. At the end the work of the first prize winner will be performed again.